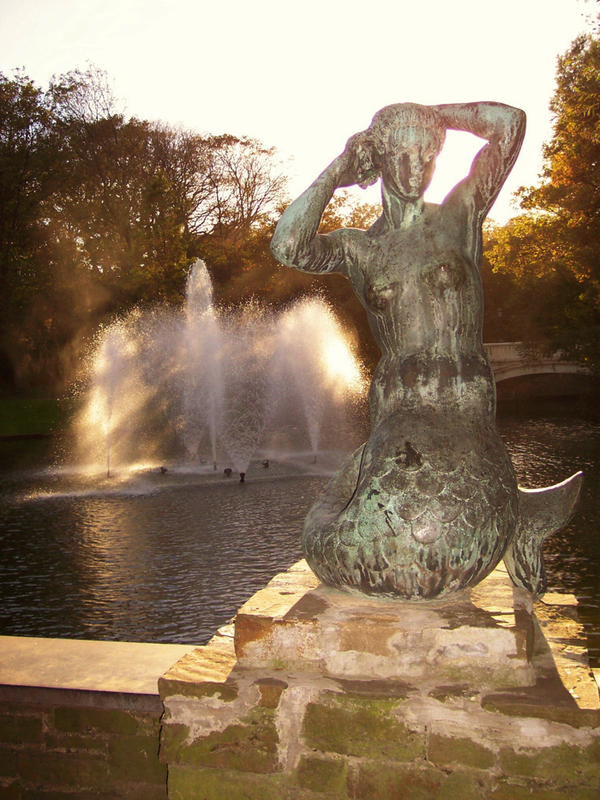 Leopold Park Mermaid Statue. Photo © by Jan Poppe. 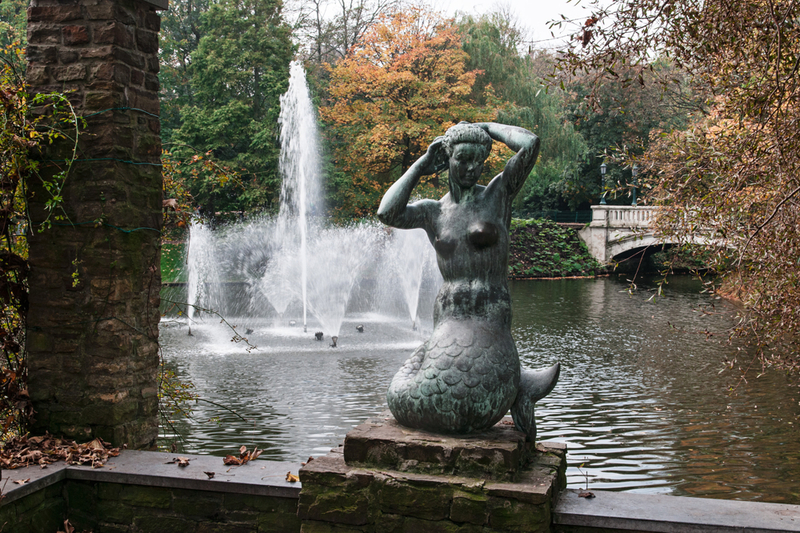 The mermaid statue was created in bronze by Willy Kreitz in 1959. There is a plaque on a stone pillar just beyond the left edge of this photo. A close-up photo of this plaque would be very welcome. 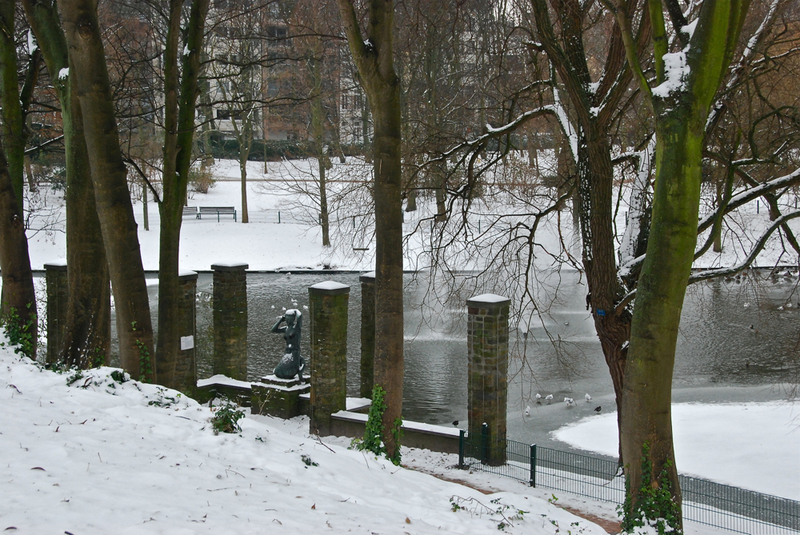 Leopold Park Mermaid Statue. Photo © by Stephane Mignon. 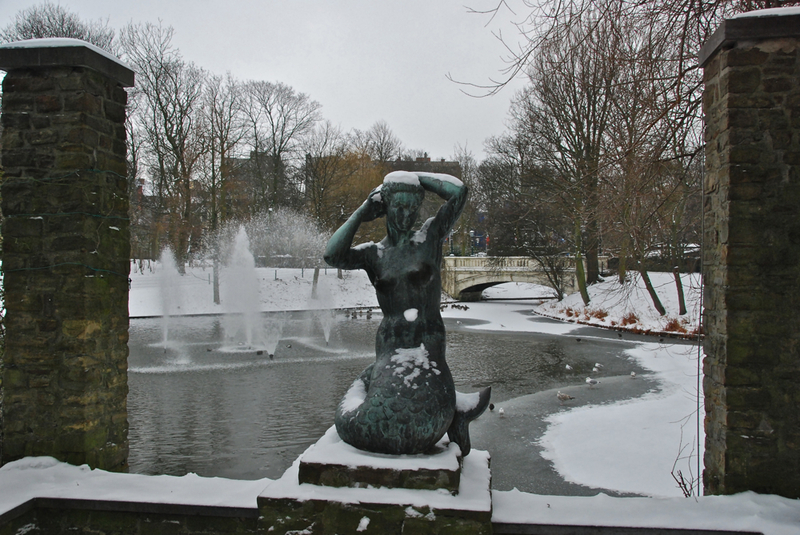 Mermaid statue in Leopold Park. Photo © by Paul Forrest.